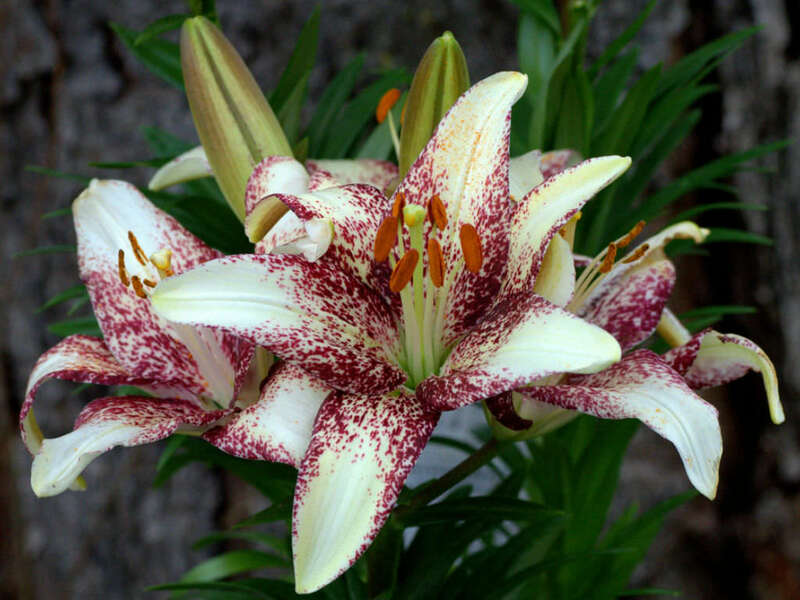 Lilium ‘Tango Passion Crossover’ is a Division I (Asiatic Hybrids) that blooms from early to mid summer. 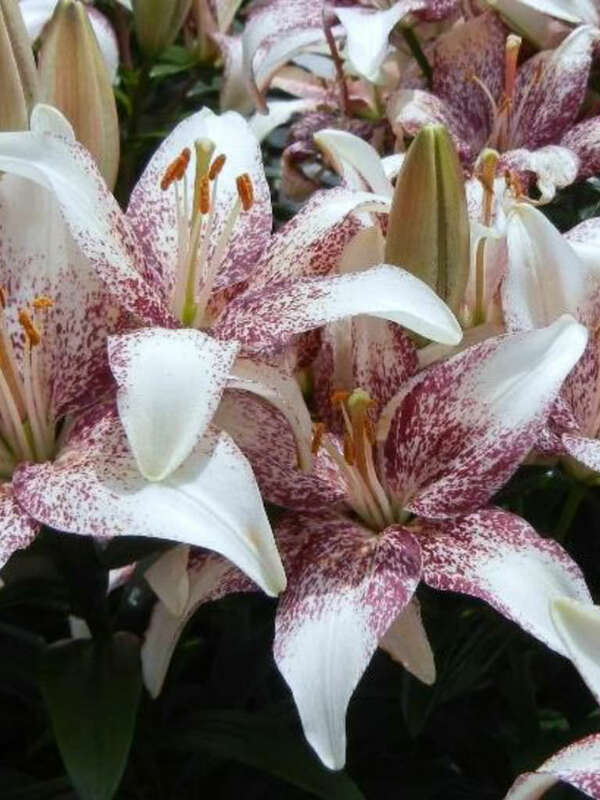 It has upward facing flowers that are pure white with speckled burgundy centers. 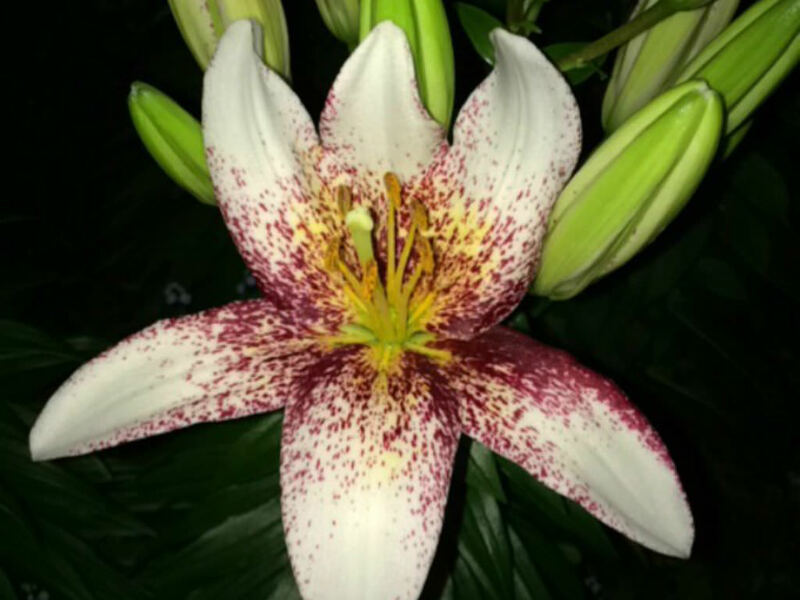 USDA hardiness zone 5a to 10b: from −20 °F (−28.9 °C) to 40 °F (+4.4 °C). 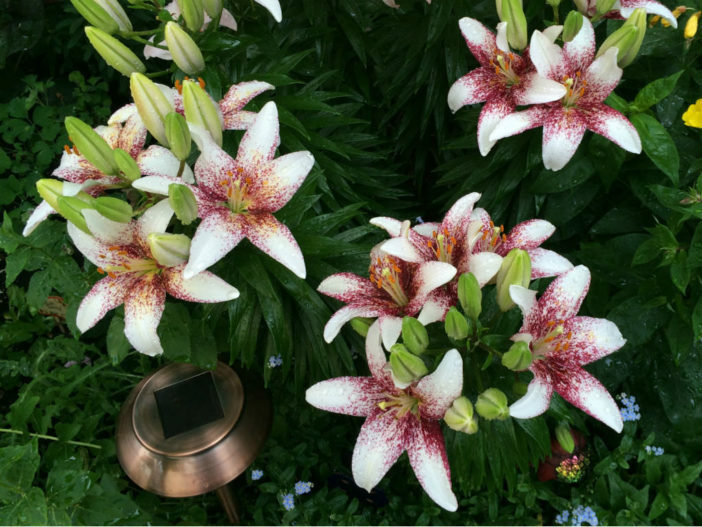 Though lilies look like they’d be fussy plants, they are actually very easy to grow. 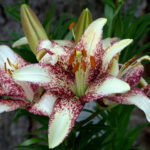 They’re not particular about soil type or pH and they grow well in full sun, part sun, dappled shade and even light shade. 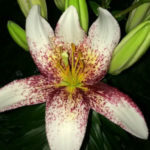 Plant lilies as soon as you get them, either in the fall or the spring. 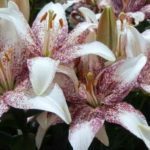 Because the bulbs lack the papery covering (known as a “tunic”) that is common to other hardy bulbs, they can dry out quickly in storage.